We have installed the latest operating software (Key-Centrix and Fastrack) that provides for electronic scriptwriting (e-script), automatic cycling of prescriptions, automatic refill request to physicians, individual billing of accounts, and many other unique technological advantages not provided by other pharmacies. Our staff consists of pharmacists with many, many years of experience and our pharmacy technicians (pharm-techs) are well trained with equal number of year’s experience. We take the time to know our clients on a personal level, learn names and record history. We work closely with physicians who write prescriptions for our patrons. We purchase our inventory from the same suppliers as Walgreen, CVS and the major chains. We do not buy anything from out of country wholesalers. PharmHouse is a member of the trade association known as United Drug, with over 2,000 independent pharmacies as members nationally. As a combined trade organization we yield a strong voice on capital hill and with insurance providers to make available every opportunity for our patrons, physicians and for the healthcare industry. 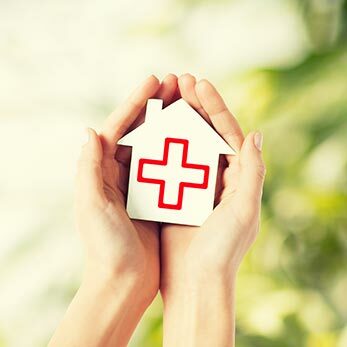 Whether you are an individual, a responsible party for an elderly person, the Director of an Assisted Living Center, case-manager of a hospital or major facility, PharmHouse will do everything it can to resolve all your medication challenges and requirements. We have many happy customers and will provide referrals upon request.